I have lots to share today including some works in progress, a finished object, some spinning, some lovely things, I tell you about Unravel this past weekend and we have a bit of little along chat. Waterlily by Meghan Fernandes in Drops Baby Alpaca Silk in colour 7402 I'm keeping this in my lovely bag from the Fat Squirrel which I got on a destash from Jeanette who hosts the Bookish Stitcher podcast. Here is the cable needle I am using. 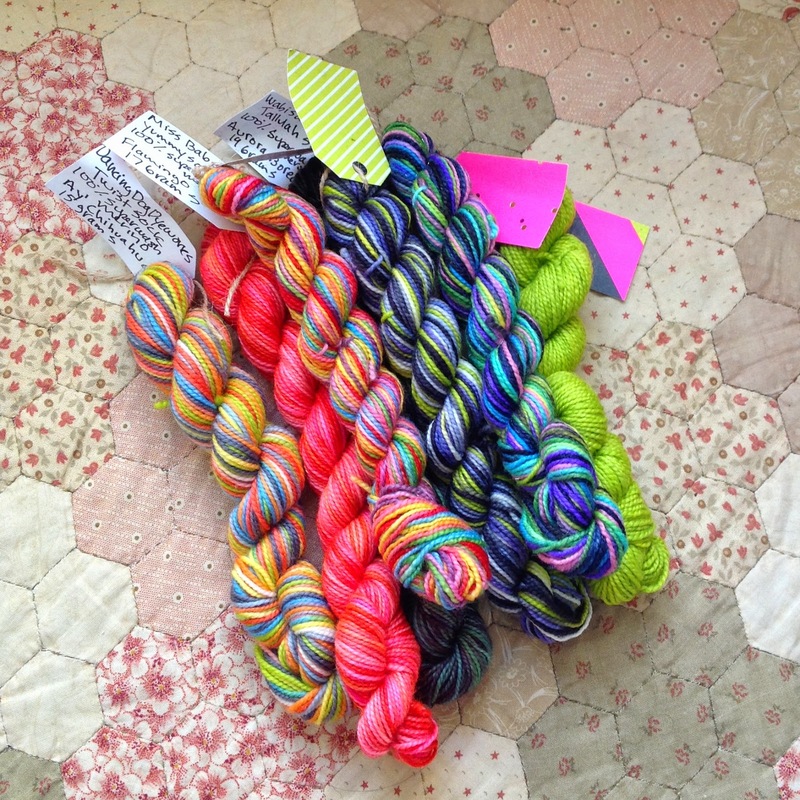 These were inspired by the lovely Kemper who hosts the fantastic new podcast Junkyarn! I used a new tip for the toes which I heard on The Knitting Pipeline Podcast. Spun on a couple of different drop spindles I have and plyed on my Woolmakers Bliss Double Treadle spinning wheel. The prizes are all detailed in the FO thread. Thank you so much to the very kind people who donated prizes!